The current terminology is vital pulp therapy and is defined by (Walton and Torabinejad) as a treatment of vital pulp in an immature tooth to permit continued dentin formation and apical closure. This entry was posted in Endodontic treatment and tagged apexification, apexogenesis, pulpotomy on January 29, 2012 by meifong. Pulpotomy is defined as the amputation of damaged and inflammed vital pulp from the coronal chamber followed by placement of a medicament over the radicular pulp stumps to stimulate repair, fixation or mummification of the remaining vital radicular pulp. Pulpotomy is defined as the surgical removal of infected coronal pulp and its objectives are preservation of the radicular pulp vitality and relief of pain. This entry was posted in Baby Teeth, Endodontic treatment and tagged calcium hydroxide, direct pulp cap, Dycal, indirect pulp cap, pulp therapy, pulpectomy, pulpotomy, root treatment on December 28, 2011 by phebe. Rubber stops instruments have certain disadvantages like movement of up (or) down the shaft, leading to short (or) past the apical constriction and time consuming. This entry was posted in Endodontic treatment, Oral Care and tagged Working Length Determination in Root Canal Treatment Part 2 on December 23, 2011 by meifong. This entry was posted in Endodontic treatment and tagged radiographs, Working Length Determination in Root Canal Treatment on December 22, 2011 by meifong. – The heat is created by rotating a compacting instrument in a slow-speed hp at 8,000-10,000 r.p.m alongside G.P cones inside the canal. 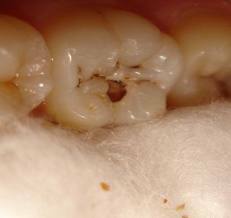 This entry was posted in Endodontic treatment and tagged compaction method, cone carrier technique, obturation on December 18, 2011 by meifong. This entry was posted in Endodontic treatment and tagged lateral compaction, obturation, single cone on December 17, 2011 by meifong.